Genius Boost is not just built to provide sufficient power to start an engine; it also has safety system in place that protects you. 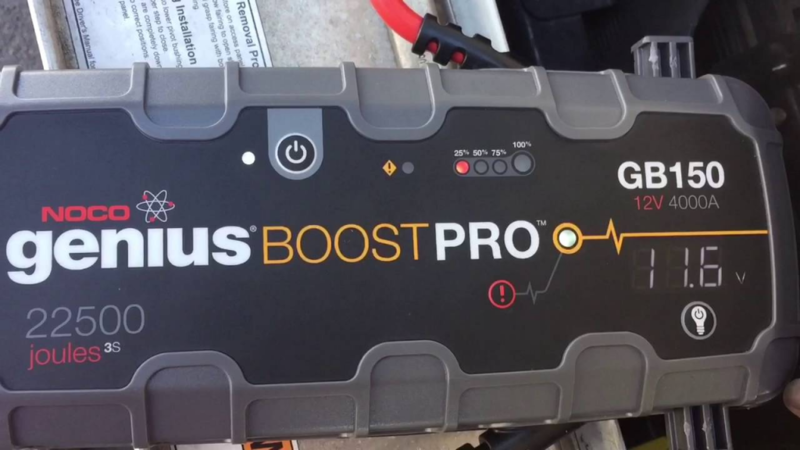 Why Should You Buy NOCO Genius Boost PRO BG150 Car Jump Starter? 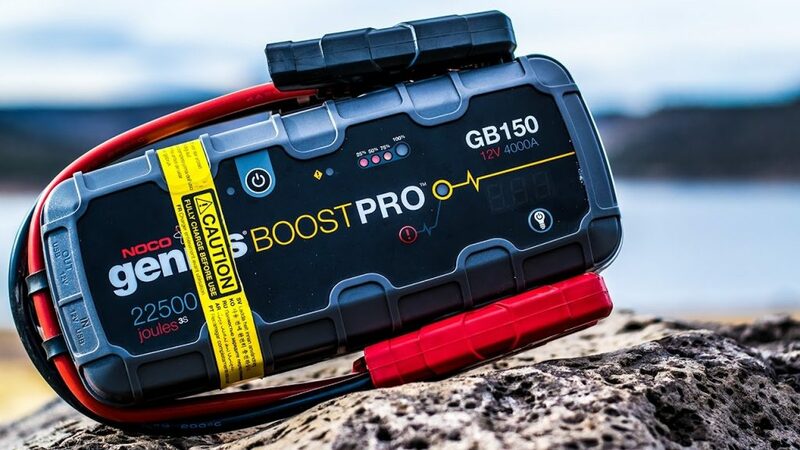 Rated at 4000 amps (22,500 Joules3S) Genius Boost is the compact yet the most powerful lithium jump starter available in the market today. It provides you with up to 80 jump starts on a single charge. You can safely connect Genius Boost to any battery with the help of its ultra-safe spark-proof technology and reverse polarity protection. Includes an ultra-bright 100 lumen LED flashlight. The flashlight has 7 light modes that includes SOS and Emergency Strobe. Enables you to recharge your personal devices like smartphones, tablets and 12-volt devices. NOCO Genius Boost GB150 Jump starter is designed to work with Diesel and Gas engines of Trucks, Boats, Commercial equipment, Busses and several other engines with capacity of up to 10+Litres. NOCO Genius Boost PRO has an Ultra Safe lithium battery inside which is capable of delivering up to 80 full power jump starts per charge. It is also amazing that a lot of safety measures has been put in place to avoid any kind of accident. Even if you touch the clamp together or hook up to a battery backward, there is still no negative impact. The capacity of NOCO Genius Boost PRO GB150 is over 1000 charge cycles and it is capable of retaining its charge level for over a year with so little power loss. Vehicles are mainly started by joules and not the misconception of Peak amps. Starting time of an average vehicle is 1-3seconds, which makes the peak amps worthless. Battery boosters potential can be revealed with a consistent actual power output for a period of time. ‘Joules 3s’ Just as the number denoted 3; it means the actual amount of power delivered in 3seconds. Don’t be deceived by the high amperage ratings placed on jump starters, because amps without time and voltages is invalid. NOCO Genius Boost functions with high displacement gas and diesel cars, trucks, boats, commercial vehicles, and equipment, and is safe on engines of any size. 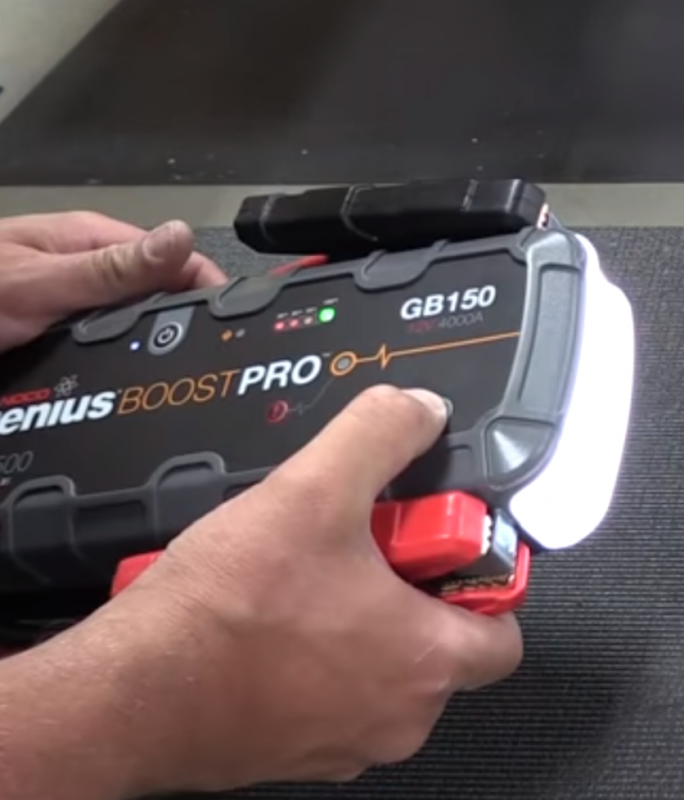 IF you compare NOCO Genius Boost Pro GB150 jump starter with any 3,000-amp lead-acid jump starter, the GB150 provides 22,500 joules versus 7,500 joules. This makes NOCO Genius Boost 3 times more powerful and 2 times smaller. The device is lighter too. NOCO GB150 has an in-built voltmeter which reads the voltage of the battery of the vehicle. This helps with enhanced diagnostics and troubleshooting. Having sufficient track of a battery’s voltage is vital in understanding the problem. 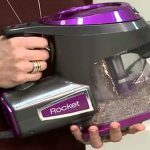 Assuming the voltage is above 12V and you’re experiencing difficulty starting up the engine, it may not be the battery that’s causing the issue. This demands you look for the problem elsewhere. NOCO GB150 Boost features a 12V power port which enables you to charge accessories with a power rating of 12V which includes inverters, tire pumps, and more. With 12V input, it has the capacity to fast recharge. With Genius Boost you can charge your USB devices with a 2.1A USB OUT port. This can be also used as a means to charge any USB powered device, such as; a smartphones, tablet, GPS and many more. Furthermore, there is a 2.1A USB IN port that makes Genius Boost universal to receive recharge from any USB port, such as; a phone charger or laptop. NOCO Genius Boost recharges 4X faster with XGC. You can recharge NOCO GB150 using any USB-powered port, try a wall charger, car charger or even a laptop charger, just make sure the volt rating matches. But be aware, it may require 11 hours to full charge the device. With XGC on board, you can use the vehicle’s auxiliary port to charge, and use its rapid charge technology to accelerate your recharge time. XGC makes the recharge process 4X faster. Full charge around 2 hours. In just 15 minute you can accelerate from zero charge to jump starting. Genius Boost includes an Ultra-bright 500-lumen 10X LED flashlight. The rechargeable LED flashlight of NOCO GB150 is lithium-powered that includes seven light modes. Includes a SOS and emergency strobe. It can get acquainted with different kind of environment with its ability to set different luminosity settings. It will help you in different emergency situations like emergency engine check, changing a tire or even warning the vehicles passing by if you’re in need of road side assistance. Lithium batteries do not work very well in cold temperature. It comes with no chargers of any kind whatsoever. Provided you are searching for a portable jump starter, NOCO Genius Boost Pro GB150 is the best choice for a car jump starter. I have it for my Chevy has a 4.3l Vortec V-6 gas engine, works perfectly so far. Overall the NOCO Genius GB150 is a superb jump starter that is powerful and safe to use. Its small size makes it practical to carry even in a backpack. You can’t go wrong with this one. Good to hear your valuable inputs guys. Thank you for dropping by. My truck wouldn’t start last night, I wasn’t worried at all as I have my NOCO genius. I was heading back home minutes later. This has been a life savior severaltimes last 6 months. My V6 motor is old and sometimes she refuses to start! 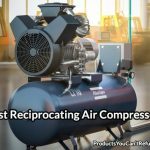 Compact and works exactly as stated. Very good Jump starter. This jump starter starts my V8 engines like a new battery. I tried a few jumpers but this one beats them all. It held 420 Amps and held that for 20 seconds which is fantastic! If you’re thinking about picking this guy I’d say stop thinking and get it. You can’t go wrong with noco genius boost. Mine came with a missing instructions catalog lol, a few emails to the customer support and received a brand new catalog 2 days ago. A great jump starter. Starts my diesel truck just fine. Definitely recommended!